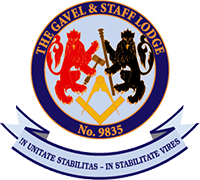 The Gavel and Staff Lodge No 9835, London, England. More information about Freemasonry can be found by following the links below. Freemasonry – What's it all about? Or you can take a look at the Frequently Asked Questions page on The United Grand Lodge of England website by clicking here.